For years, Ahmet Dadali has been one of the best street skiers in the game. To this day he continues to push the boundaries of the sport with his signature style and tireless work ethic. He’s logged banger segments and been a steady presence in the high consequence and injury prone sport. In the 2015-2016 winter Ahmet competed in the first ever X Games Real Street video competition. With only two months to produce a 90 second segment, Ahmet dropped one of the heaviest segments of the contest. Despite the mix of technicality, style, and creativity his edit missed the podium, but it’s perhaps the most underrated segment of the first Real Ski Street Contest. For the second year of Real Ski, Ahmet has returned, but this time as a judge. Ahmet and fellow skier Vincent Gagnier, rounded out a judging panel of ski industry insiders. I caught up with Ahmet at the Spy “Squash the Beef” demo tour at the Summit at Snoqualmie in Washington to talk about his experience judging this year’s X Games Real Ski Street contest. One of the interesting takeaways for me was the way in which the association with X Games in a way legitimizes urban. Ahmet explained that this helped them not get kicked out of spots. Rather than being looked at as criminals, having the cops called on them, they would explain that they were competing in X Games, and be allowed to stay. Bringing street skiing into the mainstream has obvious advantages, like exposure and money, but it will be interesting to see if this is balanced by negatives as seen in the mainstreaming of freestyle. One of the inherent difficulties of judging street skiing is the different environments and the way that the skiers approach them. Where a slopestyle course gives every skier the same setting, the streets give them endless possibilities. Rather than let this obfuscate the process, Ahmet and the judges looked at this use of environment as one of the most important factors in ranking the edits. When I pushed a little deeper, I queried how you compare skiers who take completely different approaches to street skiing. To me, the skiers most different in style are LJ, who went massive and had some crazy technicality, and Magnus, whose edit showcased creativity and different kind of technicality. When the X Games Real Ski Street edits drop, it’s like Christmas, we get six of the heaviest urban edits of the year. If this were a movie, they would all be worthy of the ender, but we as viewers naturally rank them. While each viewer may have their own criteria, it’s great to get the perspective of such an established street skier, someone who has been there in the competitor’s boots. Bringing skiers into the judging process helps to put the power of progression of street skiing in the skier’s hands. The results will be sure to cause controversy, as in any competition, especially one with such a high level of skill and daring on display. 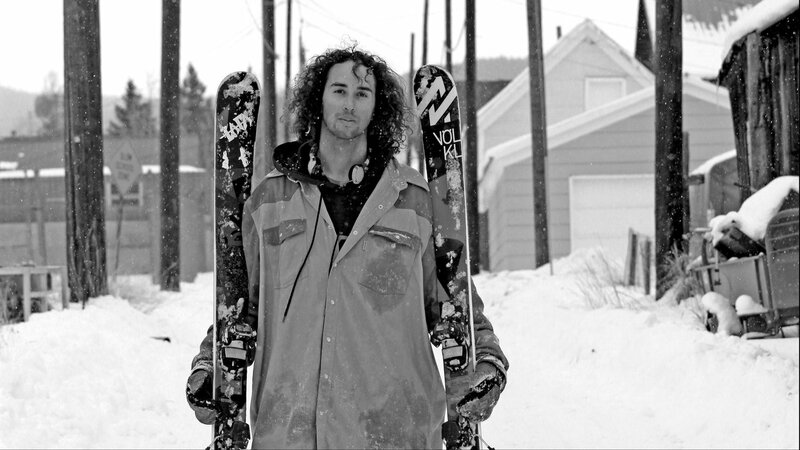 This is just one way to look at street skiing, through the lens of one of its greats. Canada, USA, France, Switzerland, Slovenia and Norway will all be represented in the judging panel. TPM: Steele Spence Interview - Olympic Judging, Elizabeth Swaney and more. Steele Spence talks to Mike Powell about judging the Olympics and more.